The number of American workers who travel to work by bicycle increased from about 488,000 in 2000 to about 786,000 by 2012—a rise of more than 60%, according to information released last week by the Census Bureau. Biking to work still faces an uphill climb to unseat the car: The number of bike commuters pales compared to the 107.5 million who drive alone to work each day. But as the price of gas and rates of obesity rise, commuting to work by bike is a smart option for both getting in shape and saving money. 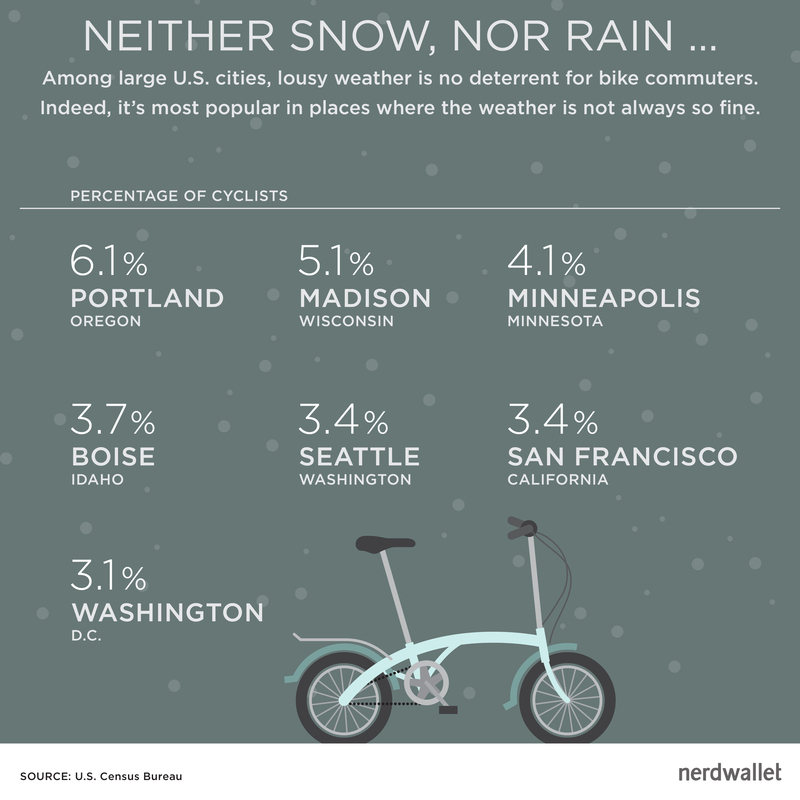 In salute to Bike to Work Week, NerdWallet honors those who are exercising their pedal power. 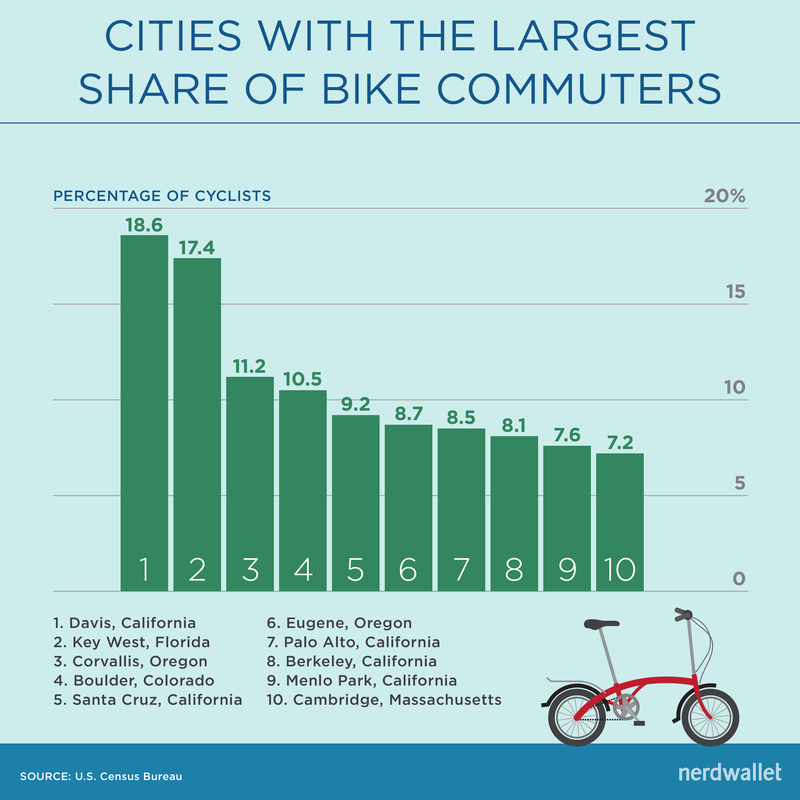 But you may be thinking, “Well sure, I’d ride my bike, too, if I lived in sunny California.” But looking at the ranking for the largest U.S. cities, that excuse doesn’t fly. Some of the largest shares of bike commuters are in places where the weather is not always so fine. 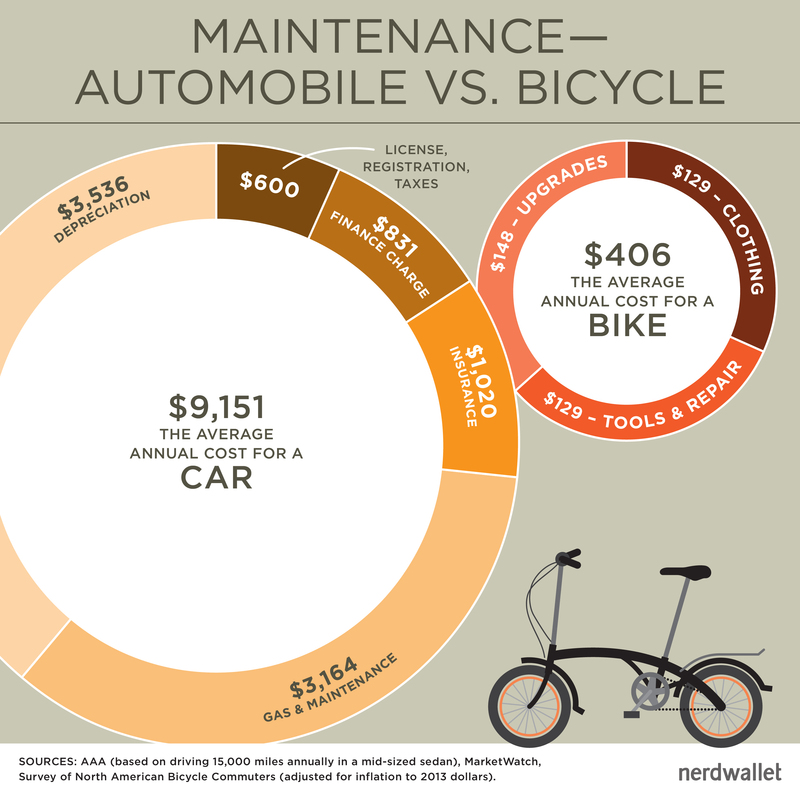 Not to mention, you’ll see big annual savings by maintaining a bike compared with a car. So get in the saddle! There’s probably an event near you this week. Illustration and infographics by Brian Yee.